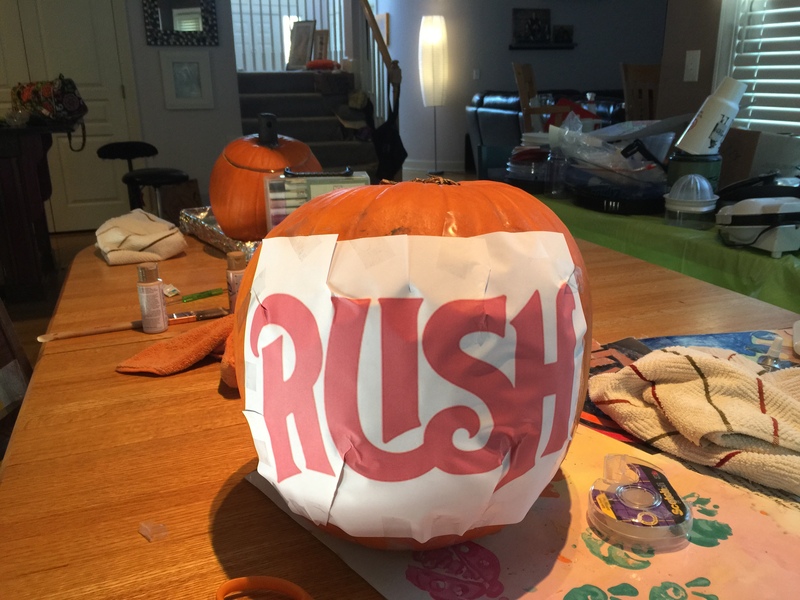 This year I decided to go as myself for Halloween. 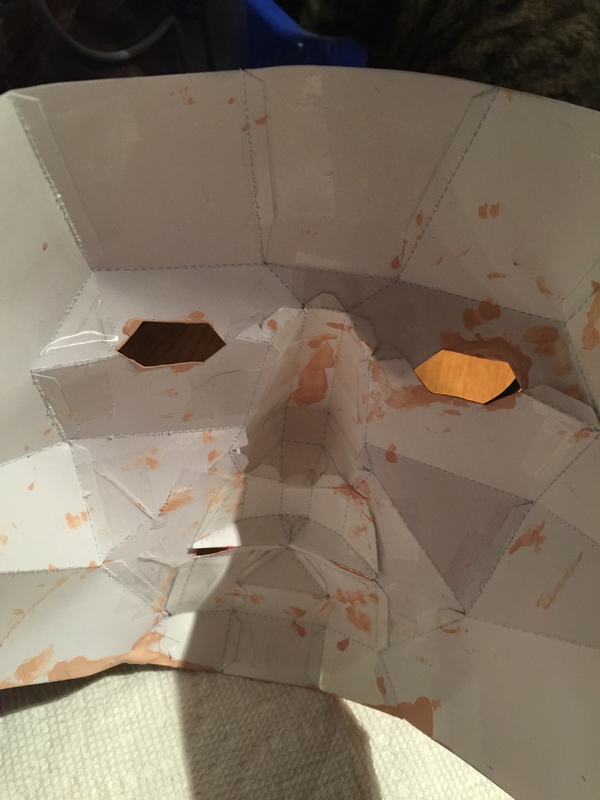 No, I wasn’t just being lazy and choosing not to wear a costume, I actually created a mask of…me. 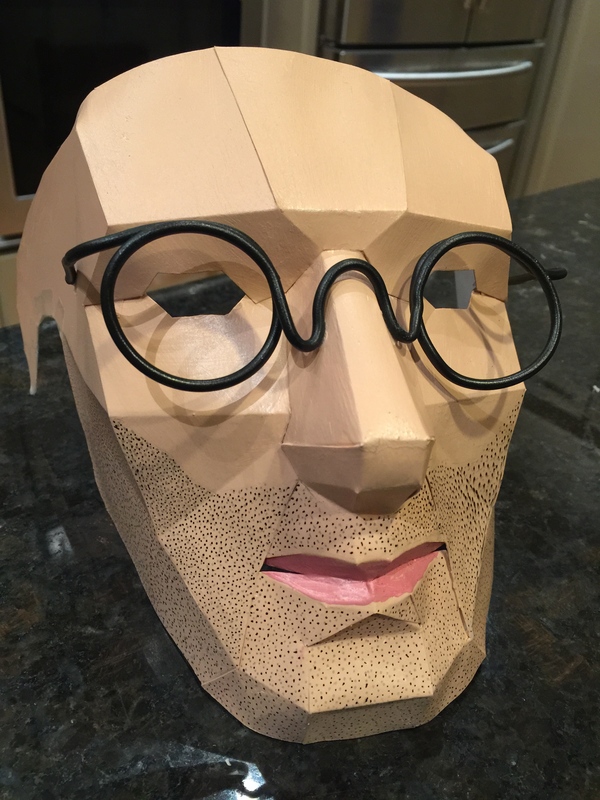 I found a printable paper craft mask on the cool website Thingiverse (click here to download). 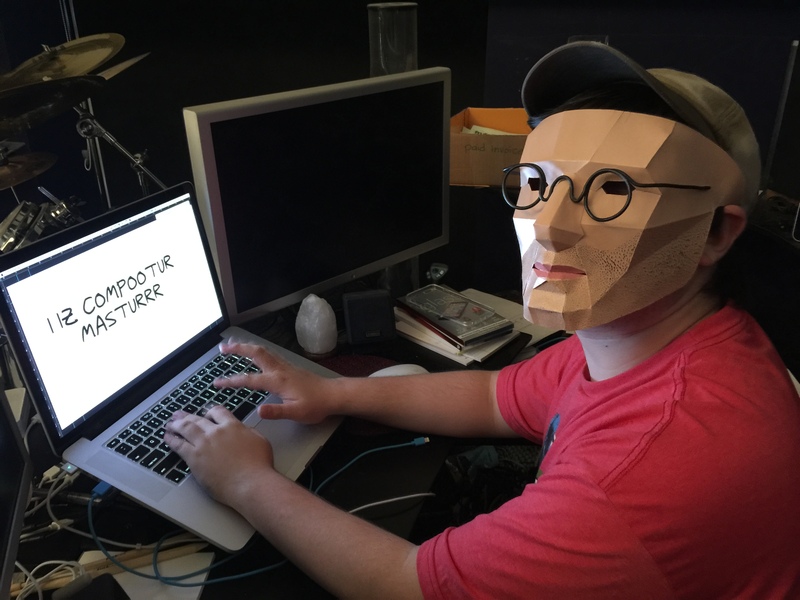 After printing out the files on good thick paper and assembling it, you have a very generic looking low polygon mask. 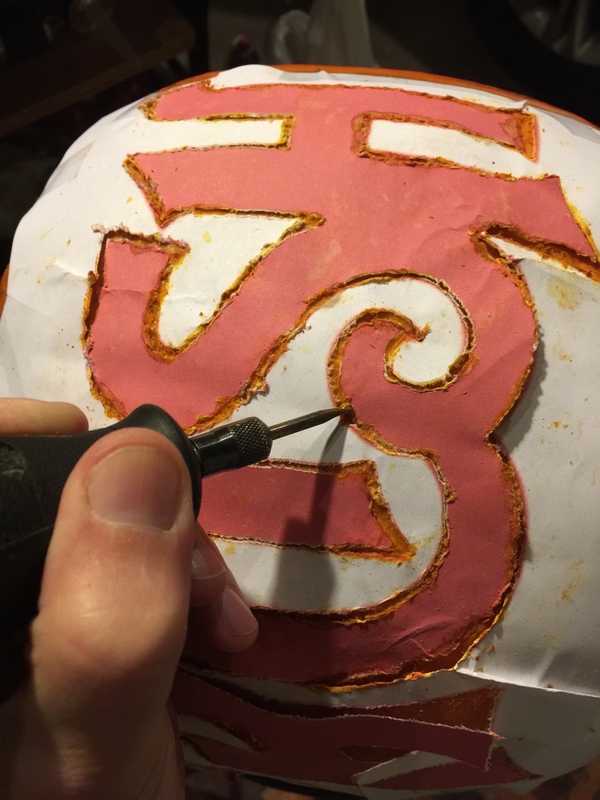 I then got some flesh colored paint, some wire for the glasses and hundreds of black, white and gray dots later, I have me. 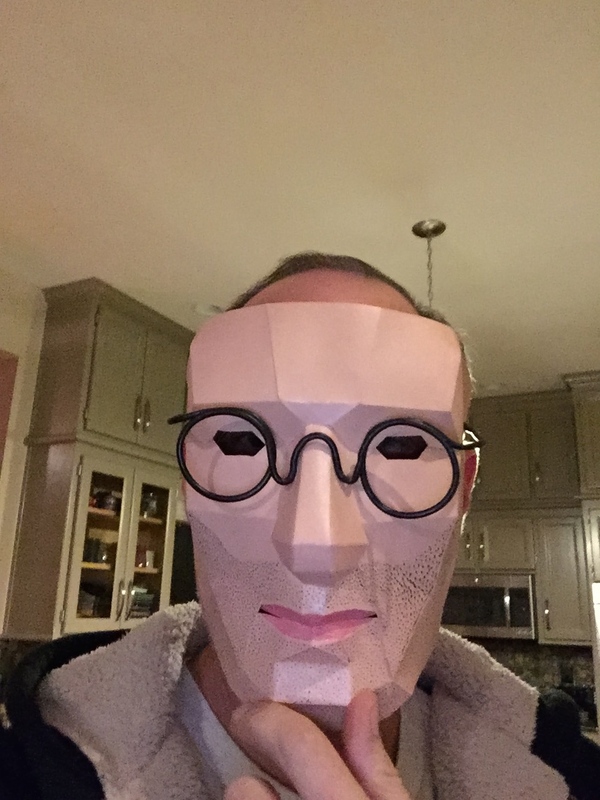 This is my go to look when using FaceTime. 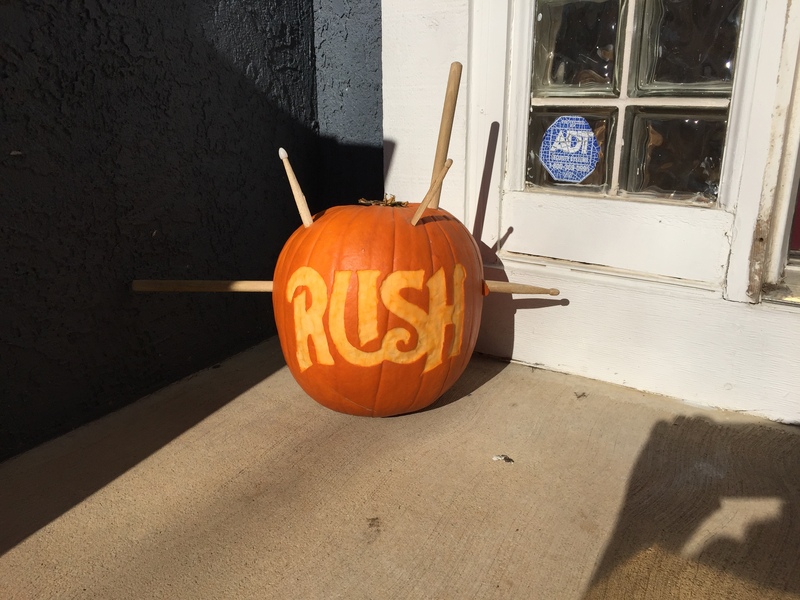 My pumpkin this year was a simple and classic Rush logo from their first album. Broken drumsticks were added for effect. 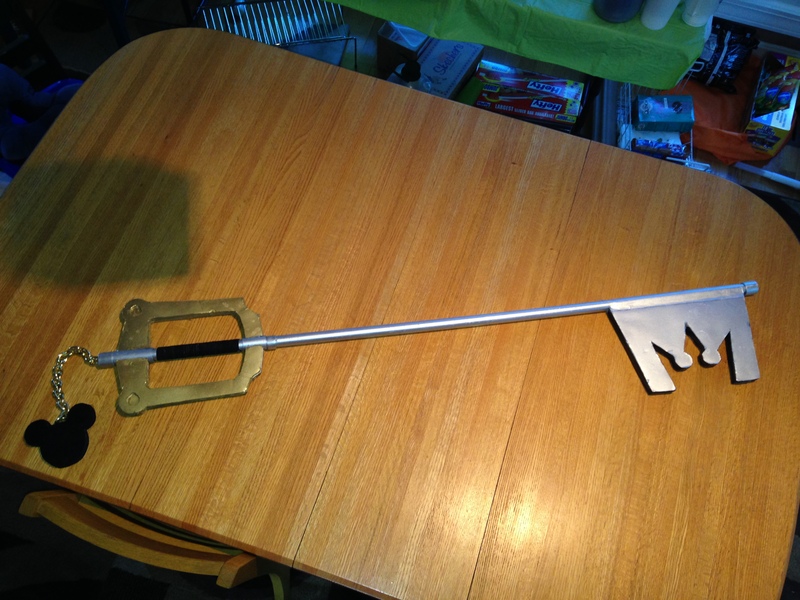 Jacob and I created a very lifelike Keyblade from the great Playstation 2 game Kingdom Hearts 2. 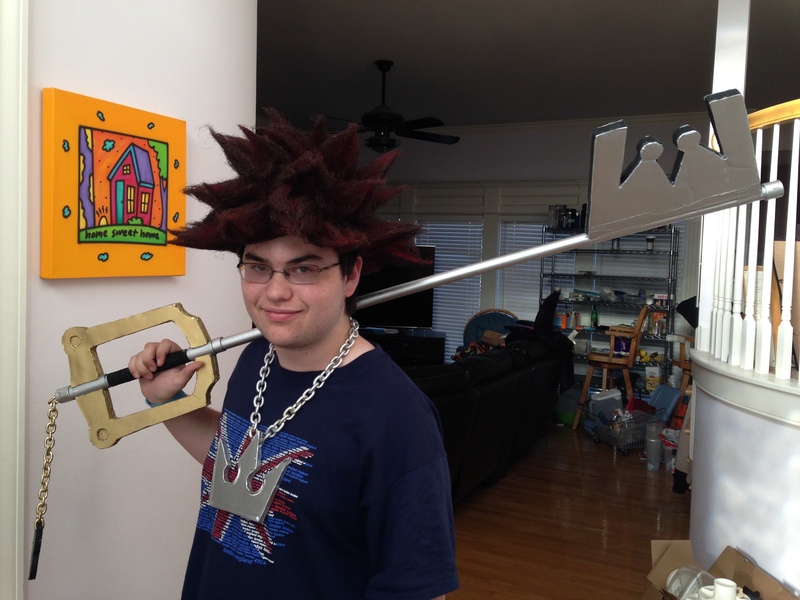 We bought a wig and transformed it to look like the games’ main character Sora. 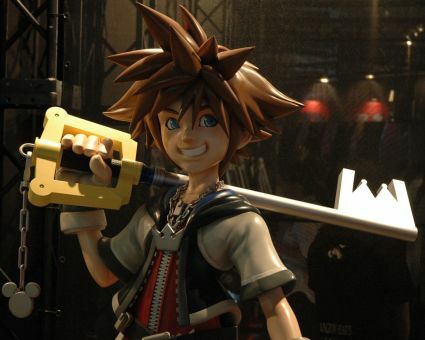 Here’s a comparison, I think we did pretty well!